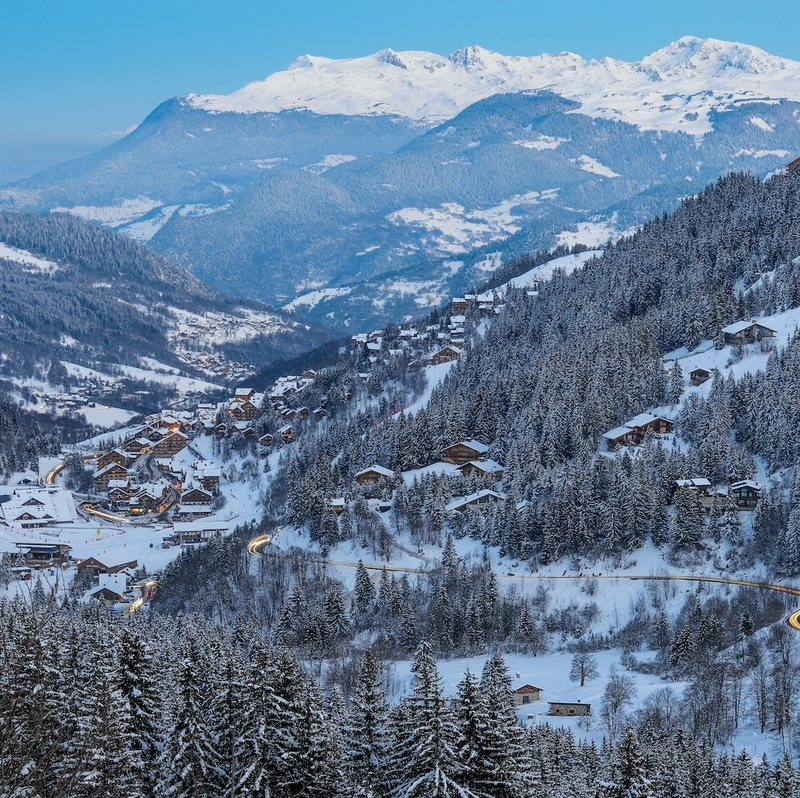 The charming village of Les Allues form part of the larger Meribel ski resort and offers an ideal location in the heart of the Trois Vallees area. 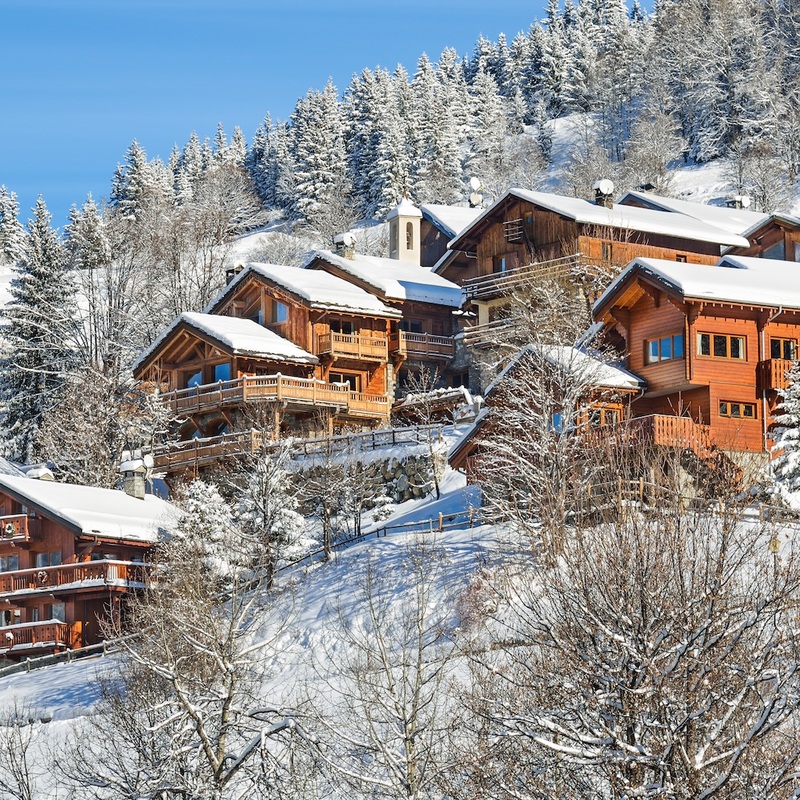 As part of the original Meribel village, Les Allues has retained a traditional Savoyard feel with a church, lovely old farms buildings, hidden alleys and a communal bread oven all around the resort. Where modern areas have been created they have been tastefully designed, and the wooden-clad buildings just add to the existing picturesque setting. As part of the largest ski area in the world - the Trois Vallees or Three Valleys - Les Allues benefits from links to eight ski resorts and 600kms of groomed pistes, plus snowparks and masses of off-piste areas for the adventurous. A fast 6-seat gondola takes you to the central Chaudanne lift in Meribel centre and allows quicker access to the higher slopes than many chalets in the main resort itself. Much of Les Allues accommodation is also ski-in and out, and a gentle run through trees provides skiing right back to the village when snow conditions allow. Away from the slopes, Les Allues provides spectacular views through the valley, and offers a wide range of leisure activities such as ski-touring and snowshoeing for those wanting a break from downhill runs. There are a small number of restaurants, bars and shops in the village centre, with Meribel itself being only minutes away and offering a wider variety of apres-ski entertainment. Both shared shuttle transfer buses and private taxis are available between Geneva airport and Les Allues resort. Running on Saturdays and Sundays, our shared coaches run at regular intervals and cost just £49pp for a single journey and £80pp for a return journey. With a stop in the middle of Les Allues, and one of the shortest transfer times available, Snowbus transfers are a cheap way to travel. Additionally, minibuses of all sizes are bookable for private transfers to Les Allues from Geneva airport at any time. Snowbus run a shared transfer shuttle service every Saturday of the winter season between Grenoble airport and Les Allues. With ten coaches running throughout the day, and prices of just £53pp for a single journey and £88pp for a return journey - shared transfers are a great way of travelling between Grenoble and Les Allues. Our private taxi minibuses can also be arranged to fit around your flights and take you on a door-to-door transfers any day of the week. Chambery airport is the closest airport to Les Allues resort and as such a taxi journey is one of the quickest possible in this area. Snowbus use local drivers with fantastic experience of the local area and of driving in the mountain conditions. We can provide transfer journeys for groups from 1 to 19 people in our range of comfortable minibuses. In addition, we can arrange for coach journeys for larger groups 24 hours a day, 7 days a week. Private taxis from Lyon airport represent the easiest way to travel to Les Allues. Snowbus transfers operate journeys to fit around all incoming and outgoing flights from Lyon airport. With quick access to the main transport routes in the area our drivers can have you skiing quicker than any other method of travel.